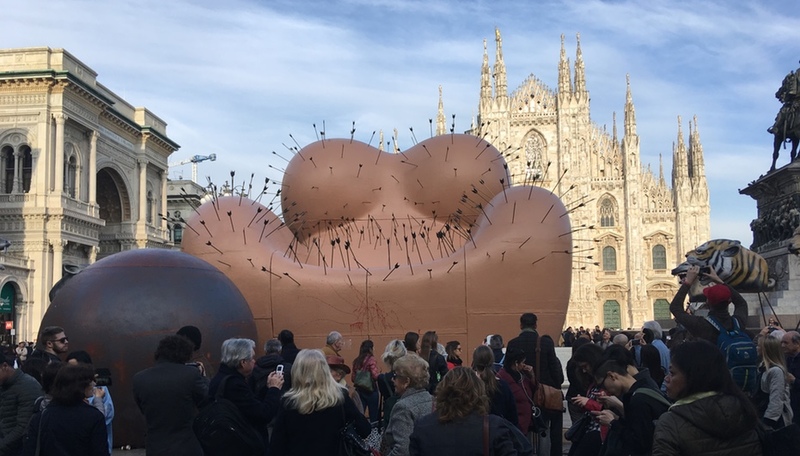 The month-long celebration brings pop-ups, pavilions, events and installations to every corner of the city. Opening week delivered architectural innovation from firms such as Loop.pH and Hall McKnight, and there is much more to come. If you blinked, you missed it: the inflatable spa/greenhouse by local spatial laboratory Loop.pH was only around for the first week of the festival, but proved to be a popular feature. 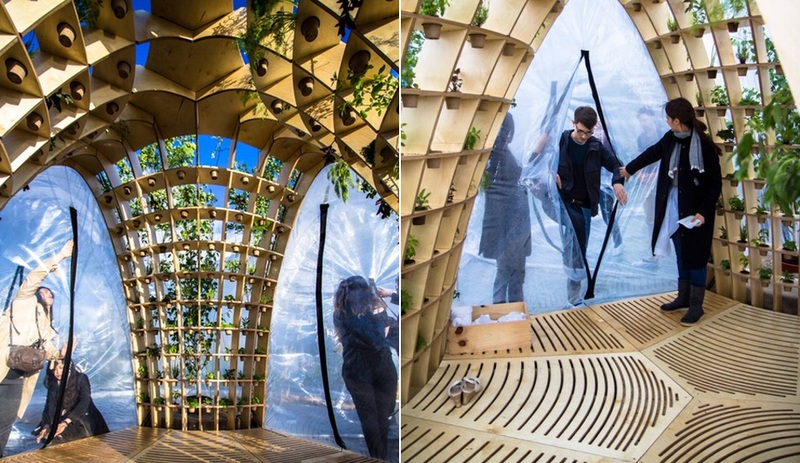 Constructed along the Thames River Path, its parametrically designed timber structure took the form of shelving that housed a living library of herbs and plants. 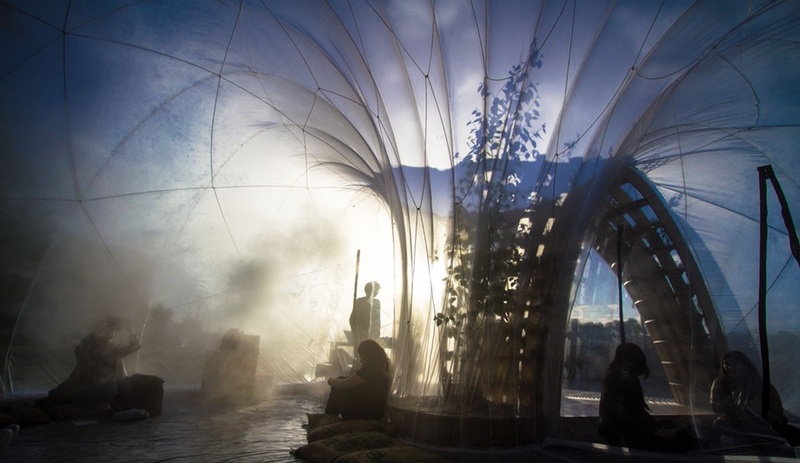 Inside the pneumatic chamber, a medicinal brew of plant essences from natural fragrance brand Haeckels filled the plastic-wrapped installation and shrouded its visitors in a cloud of fog. Ireland is the festival’s “country of focus” this year, so Nathalie Weadick, director of the Irish Architecture Foundation, and critic/curator Raymund Ryan have put together an impressive program that includes a pair of colourful pavilions. 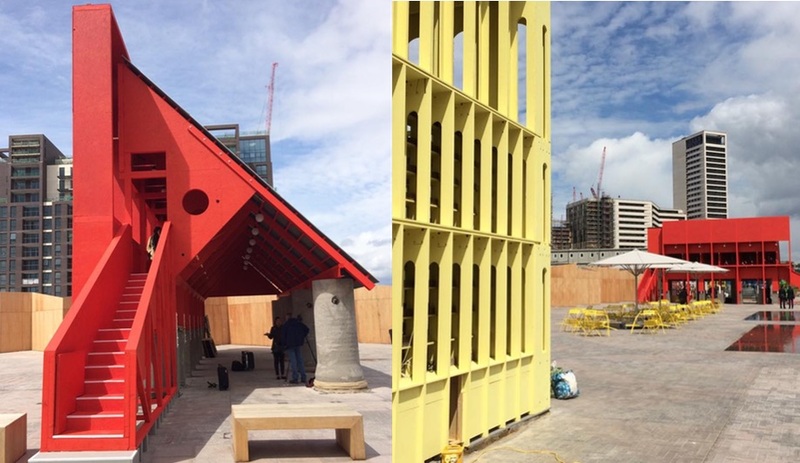 Installed at King’s Cross, the red and yellow structures – created by Clancy Moore, TAKA, Steve Larkin and Hall McKnight – will host talks, performances and events with emerging talent from the nation. 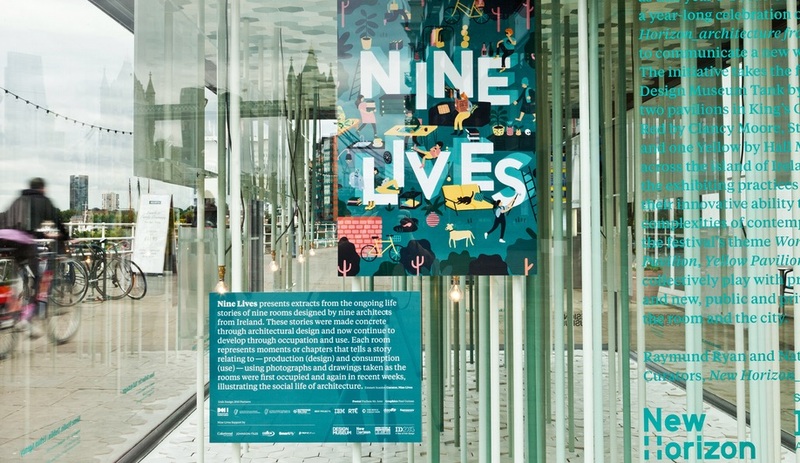 The Design Museum’s courtyard Tank will present a second installation: Emmett Scanlon‘s Nine Lives exhibition on nine spaces by nine Irish practices. 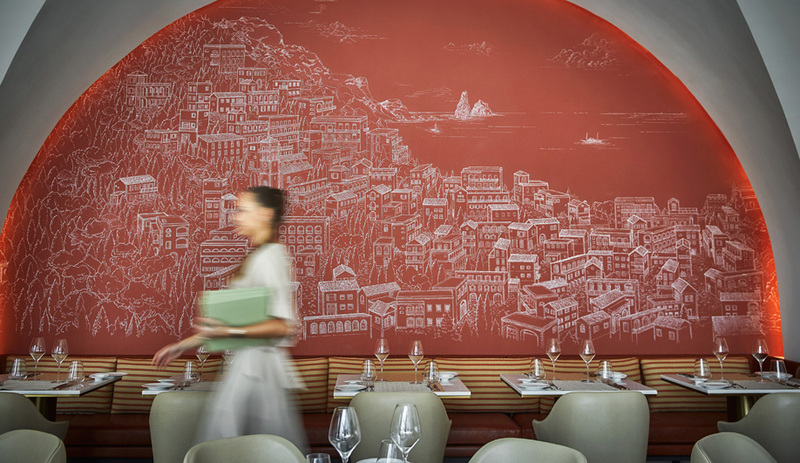 It includes drawings and objects, alongside photographic documentation of the projects at the time of their completion and in the present day. 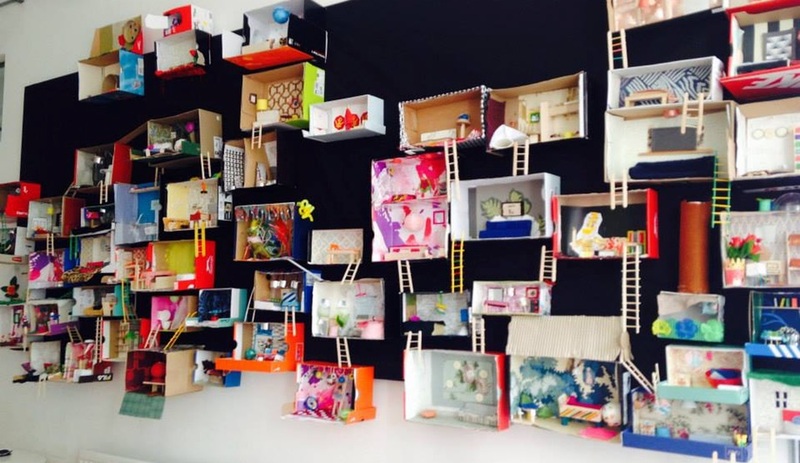 Housing charity Shelter‘s ongoing awareness project invites collaborators, including architects and local primary school children, to create doll-sized “rooms” in empty shoeboxes. Together these rooms form the Giant Dollhouse, which is on show at the organization’s Old Street offices until June 10. Assembled on a wall of black canvas, the boxes are linked with ramps, ropes and ladders to build up a sprawling house, or even neighbourhood – demonstrating the ways in which a community could grow. 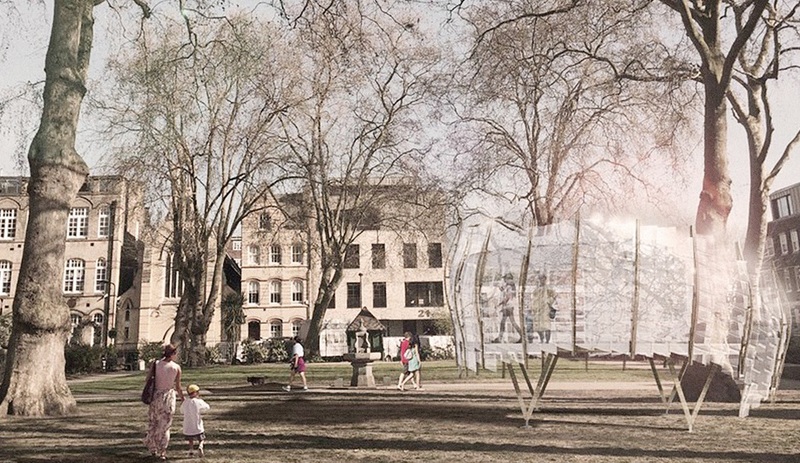 Artist Natalie Jeremijenko, in collaboration with artists Shuster + Moseley, architects Tate Harmer and briefing architects Gensler, has created this open-air co-working space for Hoxton Square. While it was originally set to open June 1, construction was delayed due to inclement weather – but its incomplete state didn’t stop it from serving as a wedding venue last week. 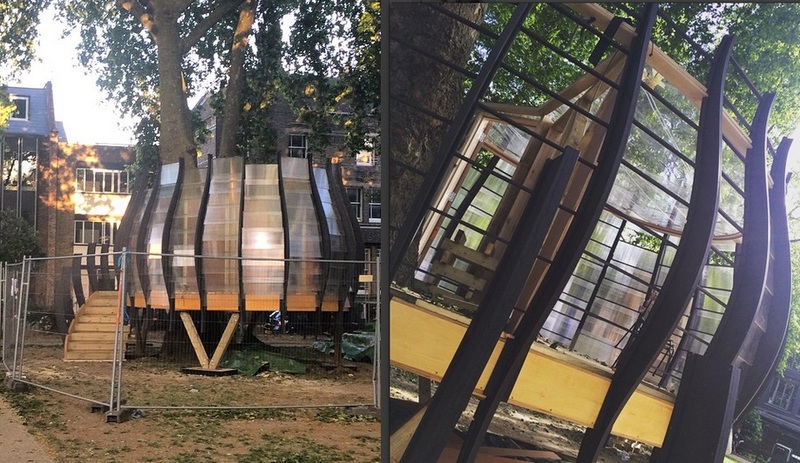 Offering power and WiFi, TREEXOFFICE is available for rent as a shared workspace from June 8 through to December, and instates the tree it wraps as landlord: all revenues generated will be donated to the area’s parks. 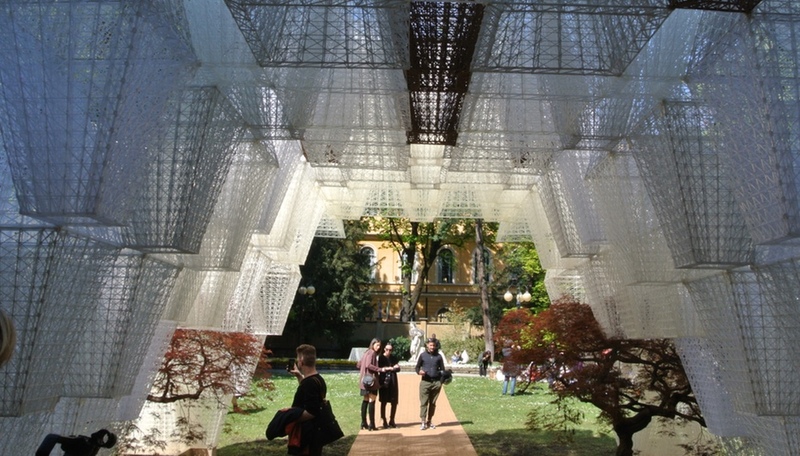 The Spanish duo of José Selgas and Lucía Cano, previously best known for their own transparent woodland offices, will reveal this much-anticipated pavilion during the final week of the festival. 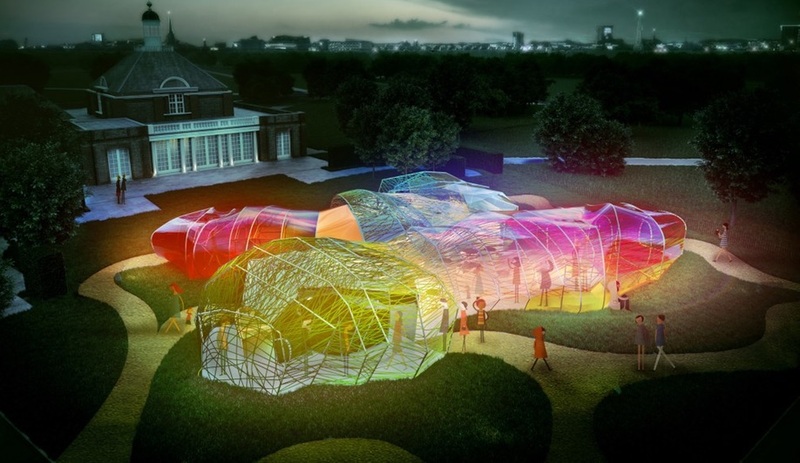 Situated on the Serpentine Gallery grounds in Hyde Oak, the polygonal form is draped in a membrane of brightly hued transparent fabric panels, creating a stained-glass effect on the inside. Multiple entry points provide access to the interior and a “secret corridor” that runs between the outer and inner layers. The attraction will remain open through the summer and London Design Festival in the fall. 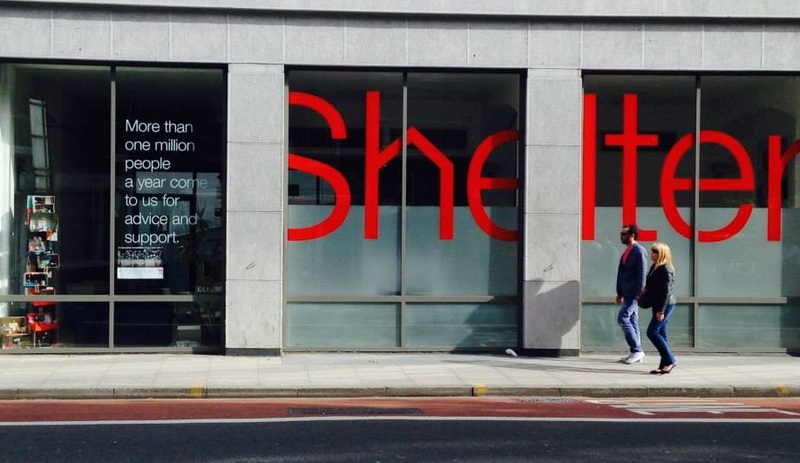 The London Festival of Architecture runs June 1 to 30.